When Salut! 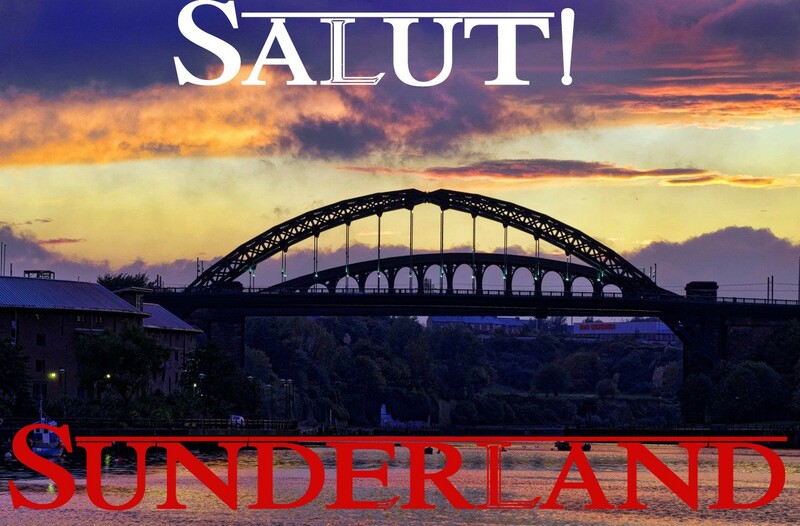 Sunderland‘s mini-series on the Mackem Diaspora* reached instalment number four, that seemed to be about that. But it would be criminal not to offer this priceless late account of a life that began in London and moved to Australia, Singapore and South Africa before family roots on Wearside were re-established. Andy Nichol gets instalment number five all to himself …. Andy Nichol is a man of many wise words and has inhabited a very wide world. He provides cogent analysis of most of the footballing issues important to Sunderland supporters but seen only by those sensible enough to have signed up to the Blackcats e-mail list. He has chaired the London supporters’ club branch, edited its magazine and devoted so much of his life to following Sunderland AFC that Niall Quinn should seriously consider putting up his statue alongside Bob Stokoe’s. Especially since, as you shall see, the Stokoe heritage is in serious debt to the Nichol one. 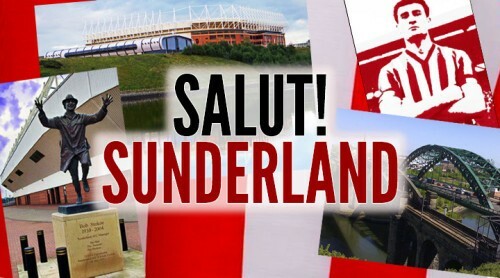 “There may be someone out there interested in and able to relate to the far flung places from which I’ve followed SAFC. 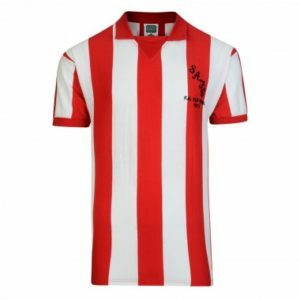 I was born in West Hampstead so my Sunderland affiliation came from my dad who was born and raised in Fencehouses (or is it Fence Houses? both according to Wikopedia; maybe that means neither – ed). A late 19th century compendium of Durham businesses shows my grandfather was licensee of The Station Hotel in “Fency” back in the late 1800s so I assume my love of ale must be hereditary. Dad faced a harsh choice in his early teens – the pit or an apprenticeship in one of the Wear shipyards. He took the latter route and went on to become a highly regarded marine/mechanical engineer. His vocation took him to sea for much of his early life and the war saw him aboard the RFA Ebonol. I always thought he was her chief engineer but internet research suggests otherwise; he certainly served aboard other vessels in that role. He did tell me about their scuttling the Ebonol off Hong Kong prior to inevitable capture by the Japanese and he subsequently spent a horrible period as a POW in Sham Shui Po in Hong Kong. I was in the Fulwell and returned to London oblivious – no mobile phones in that day. 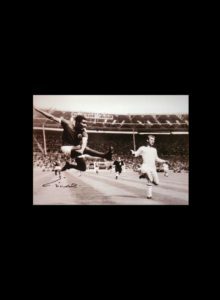 I also remember he spoke with pride and affection about the great mid-thirties era that brought League and FA Cup successes. His work had taken us to Australia and a job with the Melbourne Harbour Trust in ’60. I was first introduced to what it was all about while there – every Sunday evening waiting for the BBC World Service to announce the previous day’s scores. This would determine his mood for the week (before the inevitable red & white optimism returned the next Friday). TV coverage was non-existent down under so it was the belated arrival of The Pink or birthday phone calls to/from relatives for all the news. 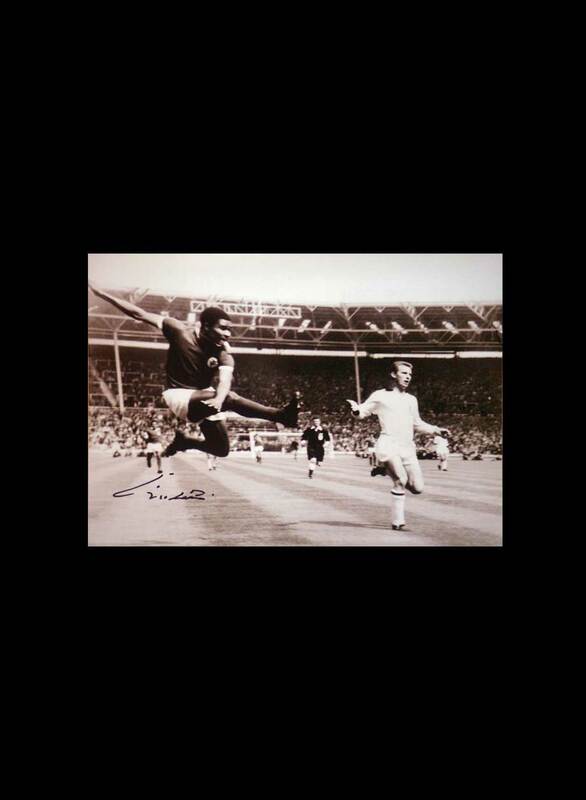 A brief spell in Blighty in ’68 saw me take in my first game (West Ham 0-8, having landed at Heathrow a few hours earlier) but I still didn’t take the hint! 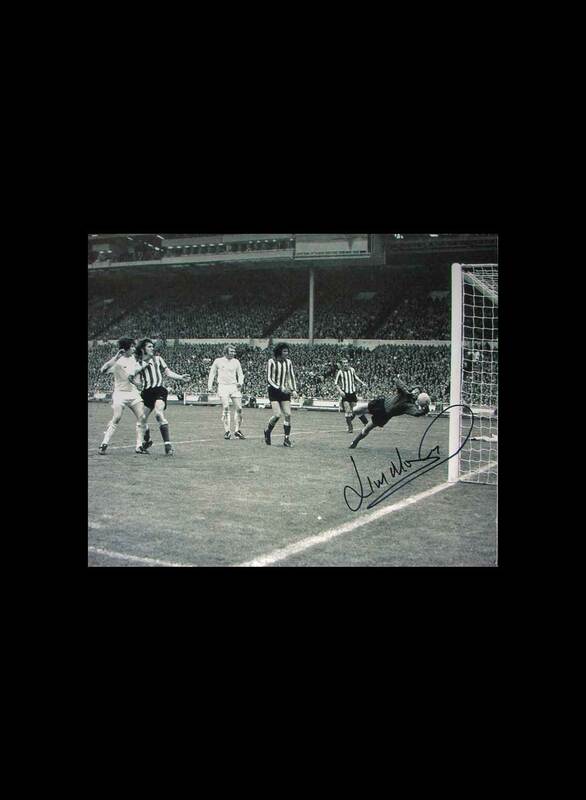 And anyway, a week later Messrs Harris and Mulhall reaffirmed my faith in a 3-0 win over Coventry at Roker Park. A year in apartheid South Africa (Dorman Long?) in ’69, then Singapore (Sembawang Shipyard) followed. I attended boarding school in Melbourne as UK forces were withdrawing post-independence and the forces’ school was closing down. My Vietnam call-up papers prompted a hasty transfer from Melbourne to school in London in ’72 and thence to Sunderland in ’73. My parents followed and we had an offer accepted on a house in Peareth Grove, Roker – Dad was now working at Hebburn Dockyard – only to be gazumped. Some weeks later he wandered past the house ready to confront the occupant but his mood softened when he saw Bob Stokoe leaving with his dog. Dad would then often have a quick (football related) word with Bob thereafter, usually half way up/down the Cat & Dog steps and always said that he was a true gentleman. I missed Hillsborough as I was in Singapore on holiday but recall a car circling the Naval Base that night with the occupants banging on the roof/waving red and white scarves. Not sure if there was a ship in or they were just resident members of the Mackem Diaspora 1973 version. The radio commentary (Jones and Eddlestone?) had earlier cut away, for heaven’s sake, for boat race but when they returned you could tell from the noise that we’d gone 2-0 up. 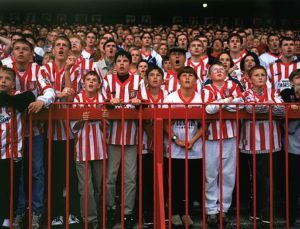 I couldn’t get a ticket for Wembley but was soon attending Roker Park every fortnight before graduating to away games on Tennick’s buses. Another trip (to Cardiff by train) saw the team join us on the way back – went to the toilet just north of Birmingham only to find a member of our Cup winning side in there with a young lass – she was unable to express her surprise at the interruption due to it being rude to speak with your mouth full. Studied Business at Newcastle Poly and played a bit of cricket for Whitburn CC. 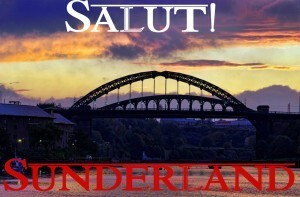 By the way, was anyone else interviewed by plod as part of the “Wearside Jack” investigation? My neutral accent soon convinced them that I wasn’t worthy of further enquiries but I suppose, on paper at least, I did fit the profile. I worked for George Angus & Co (Dunlop) on the Coast Road at Wallsend for a while before qualifying as a teacher – yes Jeremy, another one – at Sunderland Poly along with fellow ‘Cat Gordon Taylor. What were the DES thinking? Moved to London in 1980 and my first teaching job (massive culture shock – a tutor group of 30 girls: 28 Afro-Caribbean, a Vietnamese boat person and a Greek Cypriot). Andy, I remember you well from numerous London Branch trips. Didn’t realise that you had led such an interesting and varied life – long may it continue.